It's a sad day when all of your kids dont jump at the chance to pick the perfect family pumpkin. Guess Madison will be our last pumpkin hunter. I shall never grow too old to search for that perfect round fall delight! Thank you Madison for keeping us forever young! I must add that I had as much fun as she did. Even if we did miss the pony rides... cause Momma got the time wrong, ugh! Forever young... even if we are the only ones in this house to believe it. I love going to the pumpkin patch and getting that perfect pumpkin, too. This year I must have been distracted because my one lonely pumpkin is very oddly shaped. I did a variation of your spooky tree and posted on my blog today. It still needs a bird - where did you find yours? Thanks for the inspiration! We are going to the pumpkin patch this upcoming weekend. My son (who will be 18 this weekend) is not overwhelmed with this idea, but he's going! LOL. Gosh dang it, we're doing this as a family and we're all going to be HAPPY about it. LOL. (Do you think I have a problem letting go?) LOL. It is a thrill when you find the perfect one, isn't it? We went to the Pumpkin Patch too while my parents were here. I'm telling you I enjoy it as much as Lexi does. Madison is GORGEOUS!!!! Susie, I did a post on this subject. My kids are 19 and 16. They won't do the whole pumpkin patch thing with me anymore. They will go around town picking out the perfect ones! It stays fun as they age just in different ways. 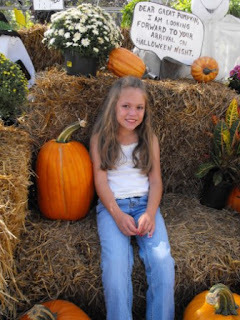 :) Believe me though, I miss the pumpkin patch days. Madison found a BEAUTIFUL pumpkin! How sweet and fun! She is a doll! How old is Madison? Looks like fun! I love pumpkin patches! Madison looks a lot like her mommy, only blonde! Now you have two perfect pumpkins. . . Madison and your pumpkin!! Soon, very soon, they will all want to come back and pick the perfect pumpkin again! I think that is kind of how it works. We grow up a little and then cherish all the memories we made as a family. That looks like a whole bunch of fun! We haven't even gone yet in MI. Looks like we had as warm a weekend as you in the south! I know you were talking about your daughter when you said the prefect pumpkin -- she is beautiful. We carved our pumpkin (I carved) Once i opened it the kids said no way. I just love pumpkin farm visits. 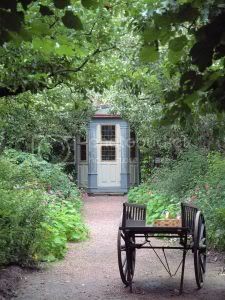 We haven't managed to get there yet this year - hopefully we will. Oh - perfect pumpkins are a tradition! Good for you for keeping it going. It looks like you guys had the perfect fall day~! Looks like such a fun day. Your little daughter is just precious!! Looks like the perfect day, to me. I just caught up with your show post. Loved it. Another great time and the extra fun, meeting fellow bloggers! I miss those days! The good news is that after all the pumpkin hunters leave home, if you are patient, new little hunters come along! I can't wait to go to the patch with my grandchildren. Happy Fall! I loved this post. sigh. winking away a few tears. I still havent done this! So busy, I've got to slow down and go to a pumpkin patch. It's too fun to miss! I am like you I will never be too old to pick the perfect pumpkin. Looks like the patch was the place to visit this weekend. We went as well. I love going and it's such a great tradition. 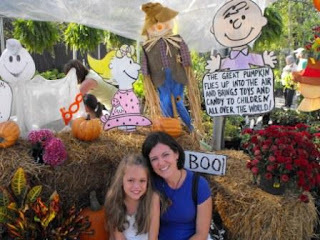 My favorite childhood memories are of going to the pumpkin patch with my mom every year. Madison will remmber these times forever. And if she's anything like me, she'll be searching for her perfect pumpkin when she's in her twenties too! We love pumpkin hunting! check out my giveaway if you get a chance. 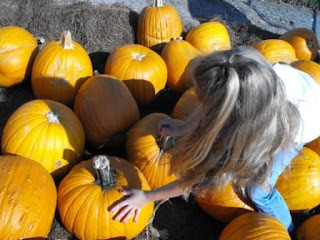 I always have as much fun as my Kiddo when we search for the perfect pumpkin, too! That place looks like a lot of fun! perfect pumpkins are hard to find...and i love a girl who knows what she wants! oh, and i linked you today...smiles! What a sweet post. We'll be going to the pumpkin patch this weekend. I think I'm as excited as the kids! Pumpkin Patches are so much fun. I love this time of year. BTW- Madison is adorable! Hi Susie! 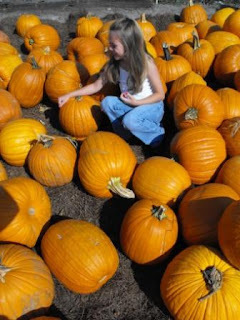 Aw, Madison is so precious and she looks so sweet sitting in the pumpkins! I miss my children at times like these. When they were little and all the fun things we used to do! Cherish all these sweet times, our kiddos grow up so fast!! That looks like so much fun. 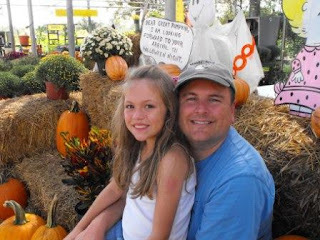 A couple of years ago we talked Legare (then 20) into going with us to the Corn Maze. He lasted about 30 minutes which was actually longer than I expected!! CUTE!!! She is darling! I love Fall and pumpkins! awwwwww .. beautiful photos, beautiful family. I wish my boys enjoyed the pumpkin patch. Each year I FORCE them into going and FORCE them into taking pictures. I love the pumpkin patch!! We have one where you can actually pick it off the vine-so fun!! :o) How sweet! I love the pumpkin patch. I think could still talk my daughter into it...my son? Not so much. Your have such a gorgeous family! 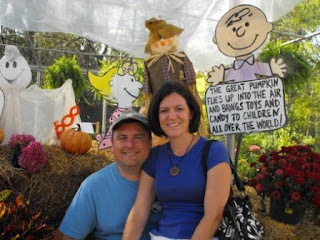 I LOVE the pumpkin patch!The thought of the family pumpkin search ending makes me sad.First pumpkins then trees! We must keep it alive! BTW, I have an award waiting for you on my blog! I am so jealous that you have a local pumpkin patch. We don't have one that is as cool as that. I am jealous! Traditions are the best part of any holiday. I am almost 30 and I still get pj's from my parents on christmas eve. YOur never too old for memories! Isn't it fun looking for that special perfect pumpkin? I think your little pumpkin did a great job.